Iuliana P. was born in 2006. 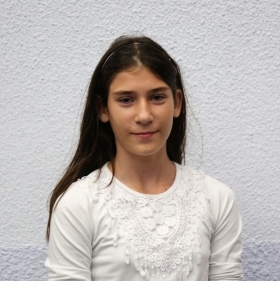 Together with her siblings, Petrisor and Miruna, Iuliana experienced hardships and abandonment at an age when she should have enjoyed her childhood and the love of her parents. After their marriage in 2003, her parents used to take turns working abroad and the children spent year after year in the company and care of just one parent. On one of his longer visits abroad, Iuliana's father refused to send any more money home which led to the mother having to borrow money from different loan sharks. Unable to pay the loans back, the family soon lost their house and the mother decided to travel back abroad in search for work. The children were in a desperate situation, suddenly left alone, abandoned not only by their father, but also by their mother. An anonymous call informed the authorities about the dangerous situation that the children were living in (they were unattended, malnourished, without proper clothing and lacking the basic hygienic and medical care). Iuliana has finally found a place to call “home”; together with her siblings, she lives in an environment where the love of others is never missing and the comfort and joy that come with a safe environment allow them to grow up and develop abilities in preparation for their future. 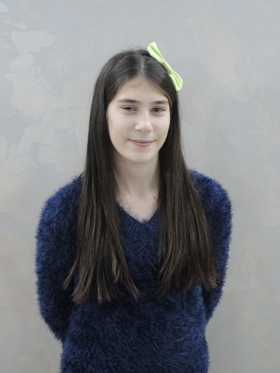 Iuliana has grown into an intelligent, studious girl, doing very well in school as well as in various other fields (she plays the mandolin, has a passion for drawing and painting and is also very good at Gymnastics). She is always involved in the orphanage activities and is a model for others in regards to how clean she keeps her room and how she fulfills her chores. Please keep Iuliana in your prayers as she steps towards adulthood. We ask our God to show her His grace and pour His blessings over her and her siblings, helping them cope with all the situations that will appear in their lives and giving them the wisdom to always act in accordance to His will.